Adeline's Sea Moose offers much more than an exhilarating private luxury yachting experience. 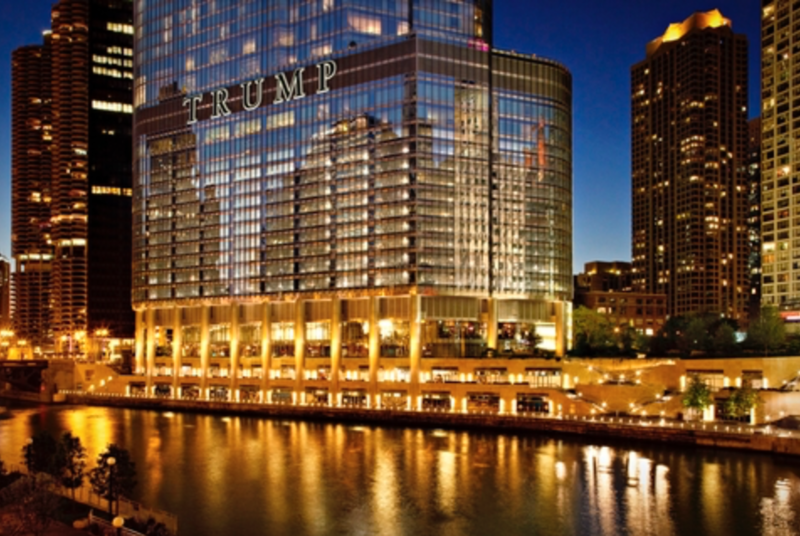 She and her crew help provide living life moments and lasting fond memories. Celebrations like Life are worth experiencing to the fullest. We understand that every celebration is unique, which is why we can help make your celebration a lasting, memorable experience. 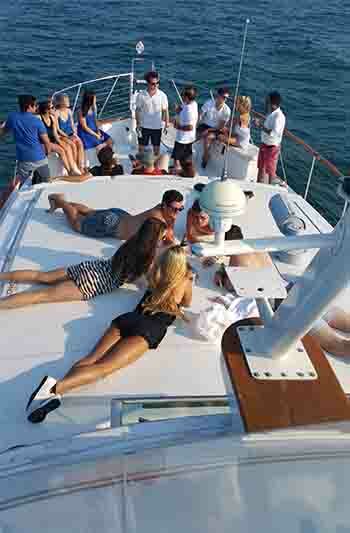 Our ‘corporate yacht charters’ are ideal for treating clients, impressing prospects, making & closing deals, networking, morale boosting, employee incentives much more. 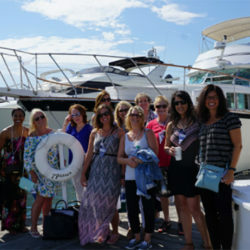 With 4 levels of entertaining space both in and outdoors and our attentive and discreet crew members are on hand to cater to all of your needs, Adeline’s Sea Moose is the perfect venue for private parties and events. At 68 feet, Adeline’s Sea Moose boasts private panoramic views of the city and her bar and lounge open up to the elements. 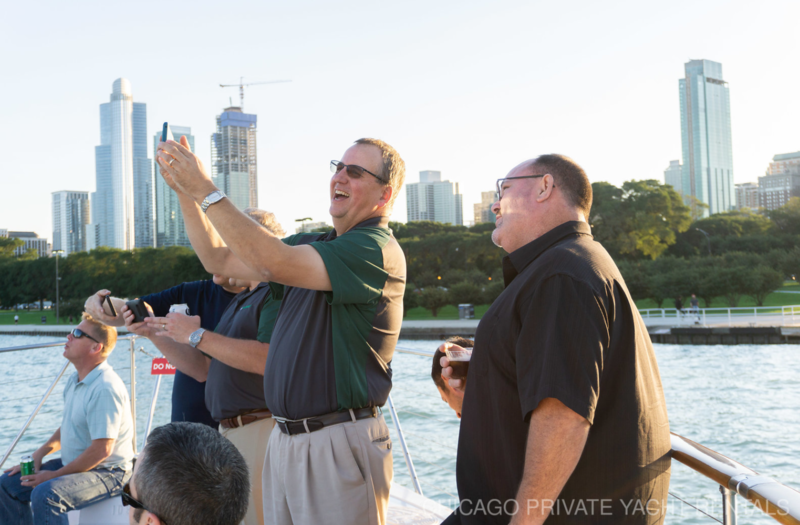 Celebrate any occasion on the water with Chicago’s brilliant skyline floating past! 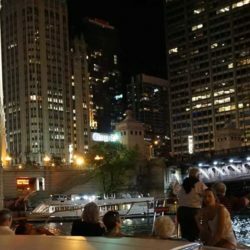 When it comes to luxury Chicago yacht rentals, a Chicago Private Yachts Rentals event coordinator will always be available to assist you with the utmost level of service and satisfaction, Adeline’s Sea Moose offers you well-appointed amenities and accommodations with her crew providing you and your guests exceptional personal attention. 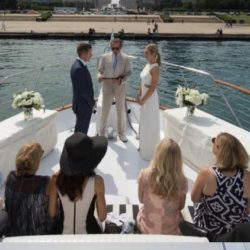 Our First Mate Services provides impeccable organization, creativity and resources to make your special occasion exactly what you envision. 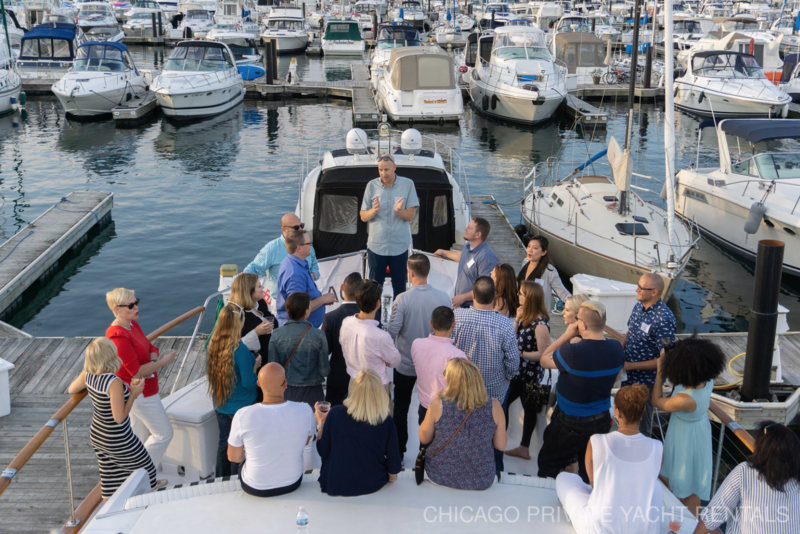 Day or Night, Weekday or Weekend, Dockside, Lake Michigan cruise or Chicago River tour, Adeline’s Sea Moose is a favorite for private yacht rentals in Chicago. 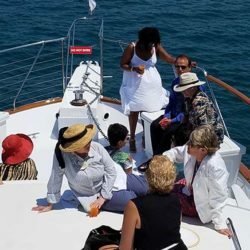 The privacy and pampering Adeline’s Sea Moose and her crew provide is ideal for intimate dinner cruises and corporate charters and is especially appealing to entertainment and sports celebrities. 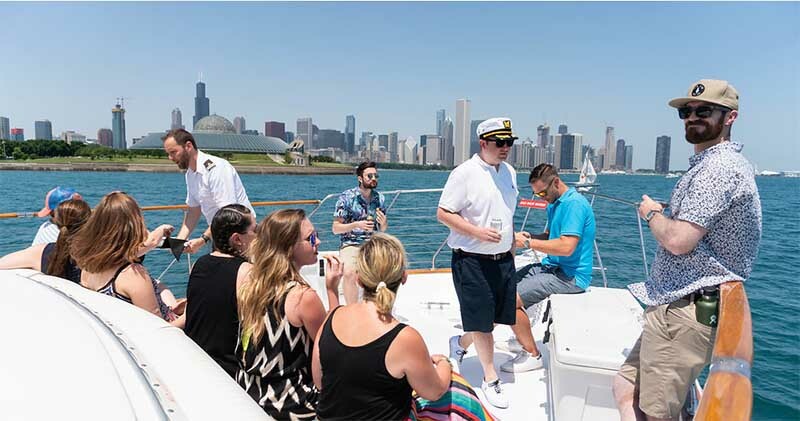 With the Chicago skyline as a backdrop, Adeline’s Sea Moose has provided the perfect setting for a variety of celebrations, including marriage proposals, sharing wedding vows and anniversaries. Adeline's Sea Moose offers much more than an exhilarating private luxury yachting experience. 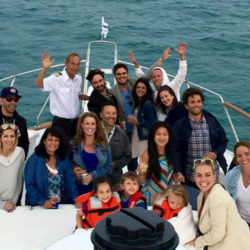 She and her crew help provide living life moments and lasting fond memories. 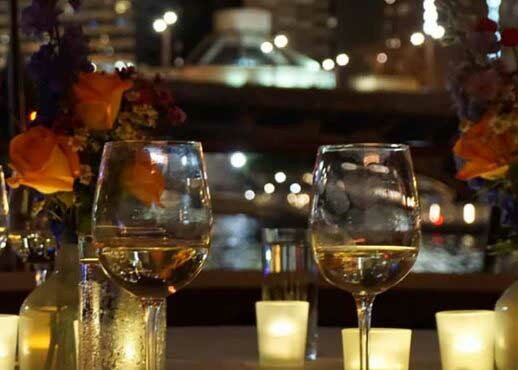 Adeline’s Sea Moose and her attentive crew brings the privacy and intimacy to your dining experience that will be a truly living life moment shared with a significant other or very special others. With 3 comfortable staterooms, you can also make arrangements for onboard overnight stay for up to 6 people. YAHOO! We mean that literally as YAHOO choose the Adeline’s Sea Moose and her crew to help them successfully mix business and pleasure. 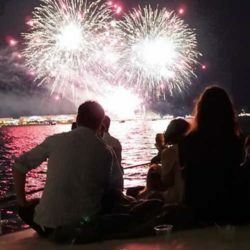 Best seats for the spectacular Navy Pier Fireworks shows every Wednesday and Saturday from Memorial Day to Labor Day. The video is just a 28-second sampling of the display.